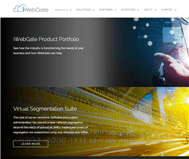 Founded in Australia in 2004 with global corporate operations in North America, iWebGate is pioneering a new form of virtualization technology – the Virtualization of Network Services. 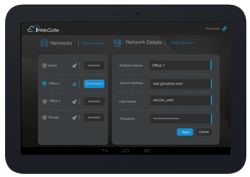 Having previously established successful businesses servicing multi-national organizations, government, hospital facilities, financial services and elite sport, the team behind iWebGate identified a growing need for faster, more secure and reliable access to networks and network services. From their experience, they identified significant security and collaboration shortcomings associated with network connectivity. Limitations of traditional network architecture were exposed and this restricted customer interactions, business process and commercial potential. The cost of server hardware, software and system administration has placed proper network segregation beyond the reach of almost all SMEs. Inadequate levels of segregation are established using only firewalls and VPNs. Companies are at risk when connecting these weak links and not implementing proper segregation between networks due to the cost, complexity and resources involved. The foundation of the iWebGate Virtual Segmentation Suite (VSS) is a tightly integrated tool set and API that orchestrates the activity of the hypervisor of Windows Operating Systems, Windows API and Windows Active Directory. The tools manage and coordinate all tasks required to maintain virtual machines in a multi-tenant architecture. This blend of greater security and collaborative capability creates new commercial capacity for any organization without altering or interrupting existing ICT infrastructure. 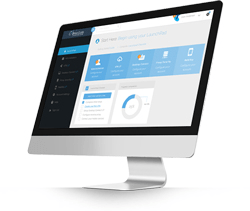 LaunchPad is the cornerstone product of the Virtual Segmentation Suite (VSS). In addition to providing many VSS administration tools, LaunchPad segregates an existing network from all other internal and external networks with a broad range of emulated network services. The software includes solution-driven network services that are securely integrated into a single software platform. Using LaunchPad to configure VSS, their Partners easily assign machines to organizations, secure them in the infrastructure, and manage all Windows system administration and active directory tasks to “stand up” private cloud workspaces on multi-tenant hardware. This architecture allows service providers to skip most of the manual configuration steps required to establish remote Windows Desktop services for their customers. Linkup LP establishes a secure connection between LaunchPad and end-customer networks. Unlike traditional VPNs, Linkup LP provisions a Virtual Local Area Network (VLAN) over a Peer-to-Peer connection. Linkup LP empowers their partners to install LaunchPad in their cloud environments and ‘link’ it to on-premise and/or other cloud networks without making firewall changes or weakening the security of existing networks. ”The network perimeter has changed to the point it must remain isolated from all other internal and external networks and their affiliated devices. Therefore, regardless of its location, any device connecting to a network needs to do so with network segregation in mind. Device LP establishes a secure ‘container’ capable of running on all major operating systems including Windows PC, Windows Mobile, iOS, OSX, Android, Linux and Samsung Knox. Once installed, the container ensures a device securely connects to a given network via LaunchPad and/or VPN LP. The container also includes a number of essential security features such as encryption at rest, multi factor authentication, and inability to run or inject malicious code, remote application wipe and mobile device management. These security and product distribution features make life significantly easier for developers. Applications once classified “enterprise friendly” instantly become “enterprise ready” when seamlessly integrated with Device LP. iWebGate’s Lauchpad is the next step in virtualization technology – the Virtualization of Network Services. The patented technology behind the iWebGate platform securely provisions a range of virtual network services in a single software platform. When deployed, a unique perimeter with highly scalable and dynamic services is seamlessly established between a primary network and all other networks. This software-managed environment delivers a new centerpiece for connectivity ideal for data centers, cloud and on-premise networks. They call this new network of virtual services zone. The virtual services zone mitigates network-based attacks using a combination of processes to deceive end-points, hide networks and/or apply security filters. However, the 3rd Zone is not limited to security. iWebGate’s Lauchpad enables Partners to deliver a wide range of as-a-Service solutions across multiple networks, their affiliated users, data, applications and devices. Traditional VPN services (e.g. IPsec, SSL) have significant risks. For example, they have an easily detectable critical end-point and don’t isolate network machines by default. From their perspective, these and other risks including circumvention of the DMZ security layer make it impossible to include traditional VPN services in any network - including the Lauchpad. So they created VPN LP with security engineered from the ground up. With a single installation of software and the right credentials, the Launchpad’s VPN LP Broker service establishes an encrypted Virtual Local Area Network (VLAN) over a multi peer-to-peer (P2P) connection framework. Using software only, users can now punch through existing firewalls to establish meshed and layered Virtual Networks over private, cloud and public network environments - including the Internet. Extremely difficult to detect, Partners are using VIN to overcome substantial issues associated with VPN’s infrastructure based, hub-and-spoke performance. There are many ways to provision remote desktop connection capabilities. However, most product offerings inherit a degree of cost, complexity, poor performance, deployment issues and/or security vulnerabilities. Most of the remote access solutions on the market do not allow concurrent solutions or charge for each one. This makes the cost astronomical. Additionally, security is often overlooked. Even the most stringent of DMZ-based environments, neglect other areas used during remote connections that need protection (e.g. mail servers, internet access). They have partnered with some of the world’s leading experts to create a fast, easy to use and highly scalable remote desktop solution with enterprise-level security. Their security solution protects every single aspect of your connection from social media access to Microsoft Exchange Server and everything in-between. Their partners are using Desktop LP to provide remote desktop services across all devices for their small, medium and large enterprise customers all while supporting concurrent connections. Modern business practices demand users to have local and mobile access to email, web sites, web applications, data and files. Many companies use Microsoft-based or Citrix XenApp servers. The problem is other primary business services (e.g. Exchange and Terminal Services) are often directly exposed to the Internet though firewall port address mapping. Acting as a single connection point, Proxy LP ensures no direct exposure and simultaneously provides a range of additional security features – including brute force protection and multi-factor authentication. When it comes to encryption, Proxy LP acts as your single point of contact for multiple services. Therefore, you only need one security certificate (SSL) for all services, which significantly reduces your IT complexity and spend. What’s more, Proxy LP has its own built-in file server supporting all the standard protocols, including FTPs and WebDAV. Partners are using Proxy LP to front-end their customers’ Microsoft-based services (e.g. Exchange, SharePoint), websites and web-based application servers. Cloud services generate revenues upwards of $10 billion a year—that is $1 million every hour that you could be tapping into. This market will continue to grow and expand as companies seek to turn data into a resource that is easy to manage and monetize with their own personal cloud. As a partner of iWebGate, you have the opportunity to offer clients this all-in-one cloud solution, LaunchPad, and add-ons that not only help companies expand their business, but also grow your own business as well. They will turn to you not a third party to expand. The best part is that the iWebGate Connectivity Suite is compatible with their entire existing infrastructure. No change. Just install. Along with delivering security and apps, another unique feature as an iWebGate partner is that you can become a cloud service provider! The multi-tenant LaunchPad allows you to offer your own branded remote access, file sharing, and proxy services. This means you will become a LogMeIn or DropBox and your customer will pay you (instead of third party cloud service providers) for these types of cloud services. Keep up with the growing demands for secure, accessible network solutions and services. iWebGate is designed to enable businesses to extend the functionality of existing commercial and custom solutions without the hassle of a complete overhaul of their code and structure. 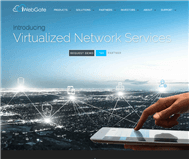 Their comprehensive solution offers automated deployment and easy configuration of network services and applications reducing the stress caused by complex application provisioning and insecure, fragmented network services. Using their multi-tenant architecture, host Windows apps and desktops applications right from your server or cloud. This transforms virtualized apps and desktops into on-demand cloud services. It doesn’t stop there. You can also deliver mobility services via our remote app. As business moves across locations, networks and devices, IT needs visibility and control to protect sensitive information assets without having to compromise workforce mobility, freedom or productivity. Given the speed and sophistication of today’s security attacks and the severe consequences of a security breech, addressing these challenges is an increasingly complex task for organizations of all sizes. Security solutions give your businesses powerful ways to meet key data protection and compliance priorities by ensuring the right level of secure access for every individual and situation. To grow your business, you’ve got to free your employees — and your budget — from your physical office. People need the flexibility to work wherever they can drive the most value from customer and partner locations to the nearest café or hotel business office. iWebGate lets you empower people to securely access apps and desktops from anywhere, on any device, so they can choose the ideal time and place for work. 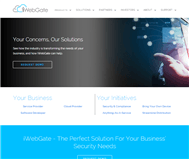 iWebGate delivers a managed internet gateway with software defined perimeter and DMZ with next generation security for all networks. The Fortune 500 security and capabilities are available at a fraction of the complexity and cost, which extends products and services… beyond what partners and end-customers think possible.